On July 01 the expert council with membership of RusVinyl representatives as well as specialists in environmental and social issues selected the winner projects-2016 of the social-ecological competition “Ecomind”, which has been implementing by RusVinyl LLC since 2014. The projects were evaluated under several criteria, including the relevance of the project idea, importance of the task solved, availability of a clear implementation plan and justification of the project budget. The largest amount of scores was received by the project “Clean world”, applied by the Nizhny Novgorod branch of the “All-Russia nature conservation society”. 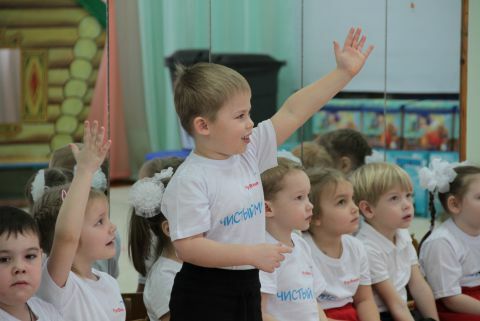 The main idea of the project is raising of the culture in the field of the domestic wastes handling of the pre-school children, and implementation of the segregated wastes collection in the Kstovo pre-school institutions. Upon the results of the jury votes the second place is taken by the project “Family recreation park”, proposed by the Kstovo puppet theatre. In the project authors’ idea the Kstovo children park will in the nearest months become a platform for a whole range of social and ecological activities, to which the smallest citizens of Kstovo as well as the adult citizens will participate. The third place is taken by the traditional project “Plants give health to children!”, due to implementation of which more and more Kstovo pre-school institutions get a possibility every year to plant the internal rooms by antibacterial phytoncide plants, which are favorable for the air conditions in the kindergartens. Contracts for the financing of the projects implementation will be concluded with the winners within July.